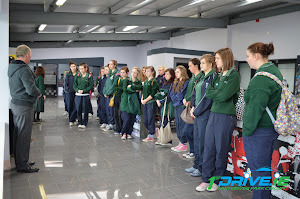 Welcome and video presentation on car controls and how to use the track. Interactive classroom session with video presentations and discussions on all aspects of road safety. Practical demonstrations to highlight the dangers of using a mobile phone while driving and driving under the influence. Drive of a dual controlled car on our private 2.4 km enclosed road network accompanied by a RSA Approved driving instructor. Demonstrations and practical tips on changing a wheel, checking oil, water, etc. An area is available for students to have their lunch and snacks and light refreshments are available to purchase.